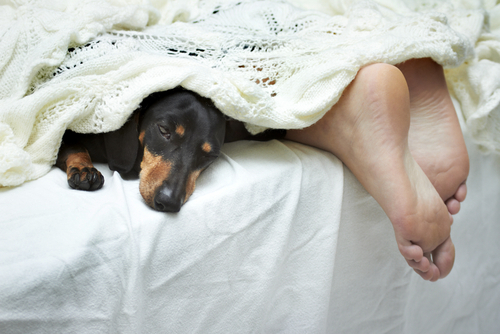 Healthcare providers often recommend removing pets from the bedroom in order to improve a patient’s sleep quality. 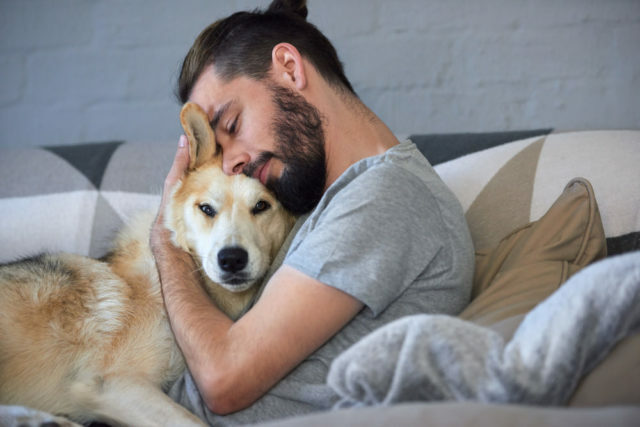 While dogs can certainly be disruptive bed hogs, a study conducted by the University of Alberta suggests their presence may be “overwhelmingly positive” for pet parents suffering with chronic pain. According to Brown, study participants reported an increased sense of well-being when their dogs slept with them. In addition to comfort and companionship, having a dog also prompts people with chronic health issues to stick to a routine of daily activity and set bedtime rituals. “Those are two key things for sleep—you get up at the same time every day and you are active. If you take the pet out of the equation, you lose that,” says Brown. She added that banishing pets from the bedroom to ensure better sleep isn’t necessarily evidence-based and needs more research. She recommends patients and medical professionals have more in depth conversations about their bedtime routines before automatically assuming pets are part of the problem.